This Trane rebate is no longer valid. 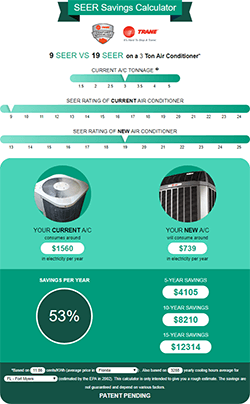 Check our AC Rebates page for current promotional offers. Trane systems are put through the harshest testing imaginable — all so they can run through anything. And now, you can get a great deal on the most reliable brand of heating and cooling.^ We never stop finding ways to bring you products that never stop. 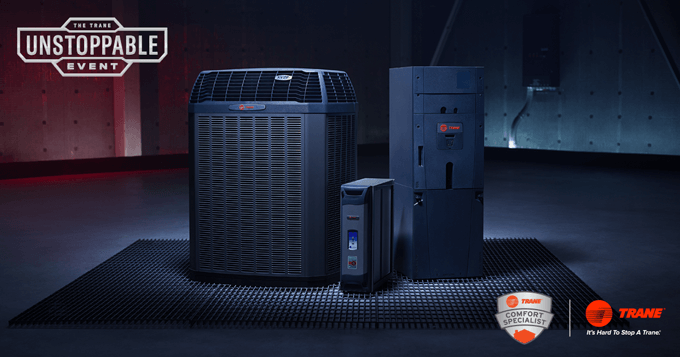 During the Trane Unstoppable Event, now through December 15th, buy a qualifying Trane system from Kobie Complete Heating & Cooling and choose from 0% APR, equal payment financing for 36 months* or discounts up to $1,000**. At Kobie Complete, we take customer satisfaction seriously. To carry Trane Comfort Specialist status means that we have consistently earned over a 95% customer satisfaction rating and achieved a referral rate exceeding 90%. You can rest assured that we will install and maintain your new Trane equipment with an unprecedented level of professionalism and service. Kobie Complete’s service area spans from Lakewood Ranch and Sarasota to Punta Gorda. Live in Sarasota and Charlotte County? Fill out the form below or call us at (941) 474-3691 to get a free, no-obligation quote on a new air conditioner installation. *The Wells Fargo Home Projects credit card is issued by Wells Fargo Bank N.A., an Equal Housing Lender. Special terms apply to qualifying purchases charged with approved credit. The special terms APR will continue to apply until all qualifying purchases are paid in full. The monthly payment for this purchase will be the amount that will pay for the purchase in full in equal payments during the promotional (special terms) period. The APR for Purchases will apply to certain fees such as a late payment fee or if you use the card for other transactions. For new accounts, the APR for Purchases is 28.99%. If you are charged interest in any billing cycle, the minimum interest charge will be $1.00. This information is accurate as of 8/1/2018 and is subject to change. For current information, call us at 1-800-431-5921. Offer expires 12/15/2018. 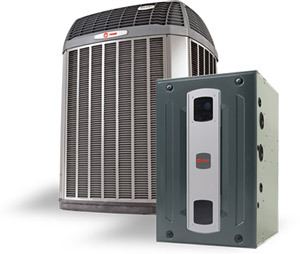 **See your independent Trane Dealer for complete program eligibility, dates, details and restrictions. Special financing offers OR discounts up to $1,000 valid on Qualifying Equipment only. Offers vary by equipment. All sales must be to homeowners in the United States. Void where prohibited. Rebate paid in the form of a Trane Visa Prepaid® card. Use your Visa Prepaid card anywhere Visa debit cards are accepted in the United States and U.S. Territories. The card may not be used at any merchant, including internet and mail or telephone order merchants, outside of the United States and U.S. Territories. Card is issued by The Bancorp Bank, Member FDIC, pursuant to a license from Visa U.S.A. Inc. Pay close attention to the expiration date printed on the front of the card. Card is valid through the last day of the month. You will not have access to the funds after expiration. Today we used Kobie for the first time for our annual A/C maintenance check and we were very pleased. When we called to make the appointment, the lady who answered was pleasant and efficient and we were able to schedule an appointment for within a few days. Our technician, Johnnie, arrived right on time and we were very pleased with the service -- Johnnie was thorough and explained his findings and answered our questions. Virginia and John C.